Hatty Ashdown is available to book for your special event – we work in direct association with Hatty Ashdown’s representative as a booking agent for her. 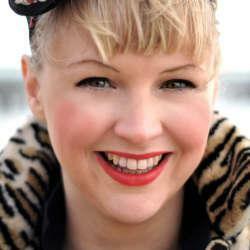 Hatty Ashdown is a stand up comedian, presenter, MC, writer, actor…and slipper wearer. Hatty subverts the normal stale concept of stand up and presents the audience with a comedy experience that makes them not only laugh, but feel comfortable in any live environment. Her distinctive spin on stand up comedy has turned many heads and she is quickly gaining an enviable reputation for a unique brand of comedy that is warm, inclusive, and unpretentious. Hatty hit the London circuit around 2009 playing various London clubs, progressing from 10 to 20 min sets to headline spots. 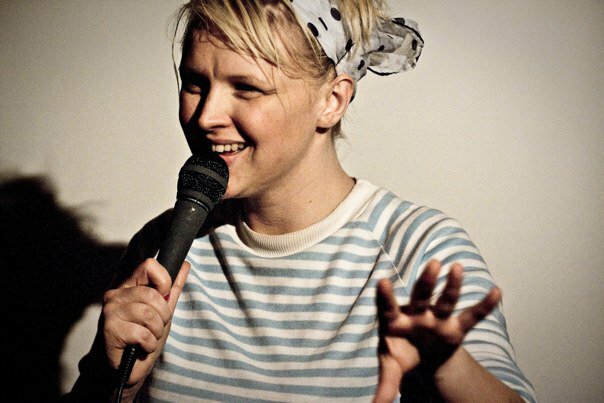 Hatty Ashdown has played alongside the likes of Josie Long, Stewart Lee, Issy Suttie and Robin Ince at the Udderbelly on South Bank. She also loves MC-ing and has compered various London clubs including her own club for three years. In 2012 Hatty Ashdown co-hosted talent show Star Search at the notorious Bethnal Green Working Mens club. 2011 saw a successful run at the Edinburgh Fringe Festival with Hatty Ashdown’s first solo 40 minute show Hatty Ashdown-Nan Child receiving a 4 star review from Three Weeks and featuring in The Lists top 5 Free Fringe Shows. Hatty Ashdown’s first love is radio; she has appeared on BBC Radio London with her own live slot of Hattys Haberdashery covering the arts & crafts of London and a whats on guide. Hatty Ashdown then went onto to present her own shows on Jnet, Shoreditch & a weekly slot on Croydon Radio. Hatty’s personable and warm stage persona is something that she has put to good use not only in stand-up but also in TV presenting, interviewing celebrity names such as James Brown, Lou Reed and Esther Rantzen for the BBC and Channel 4. 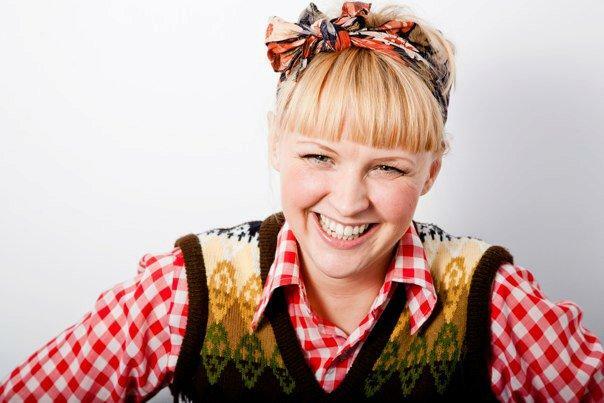 Hatty Ashdown has written the new sitcom GIVE OUT GIRLS which will air on Sky Living in 2013. The show is based around a group of promotional girls, who hand out products in the street. With Hatty’s hilarious first-hand experiences informing the scripts, the shows authenticity shines through. Hatty Ashdown has written the show with Anthony McMurray; it is produced by Big Talk Productions & Popper Pictures for Sky Living. Hatty’s most recent acting part was her role as regular part Dawn in comedy Marshals Law 2012-2013. Hatty has also featured in various TV commercials including Pizza Hut, Boots, PSP, and Heart FM. She played Medusa on the kids show Ross Lee’s Ghoulies on Nickelodeon, and a frumpy fairy in CBBC Broom Cupboard Live on Christmas Eve. After graduating from Drama Hatty Ashdown performed in two theatre companies, including her own one-woman show Chick Habit, playing 4 comedy characters at the Ipswich festival. Hatty Ashdown has also had a photographic career as character model for Mr Kipling, nicorette, Play Station to Heinz Beans to name a few! Contraband is the UK’s top booking agent, with amicable, experienced account managers who guarantee you the best deal possible. Contact us today if you would like to book Hatty Ashdown to be the headline of your event! We as your booking agent are more than happy to help you create the most memorable moments with Hatty Ashdown.